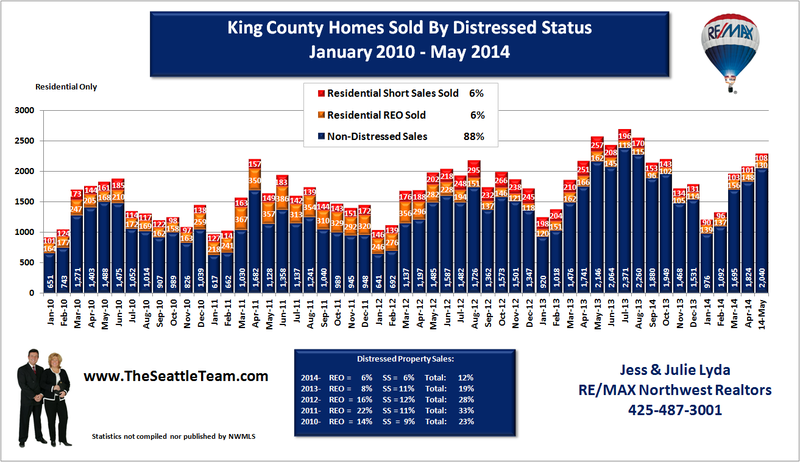 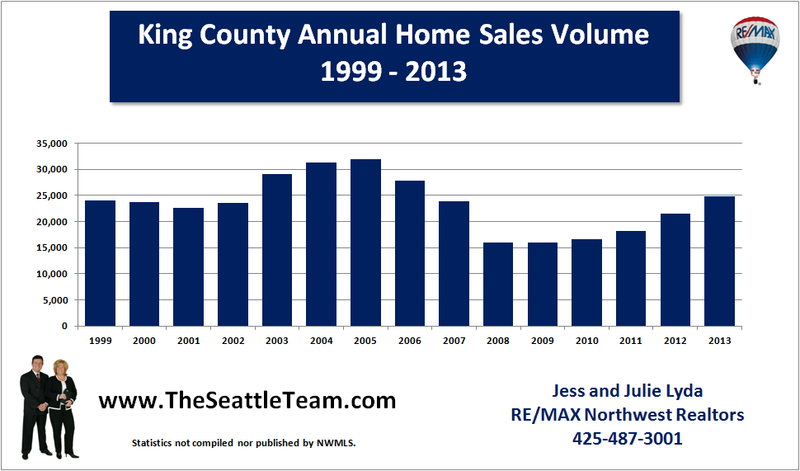 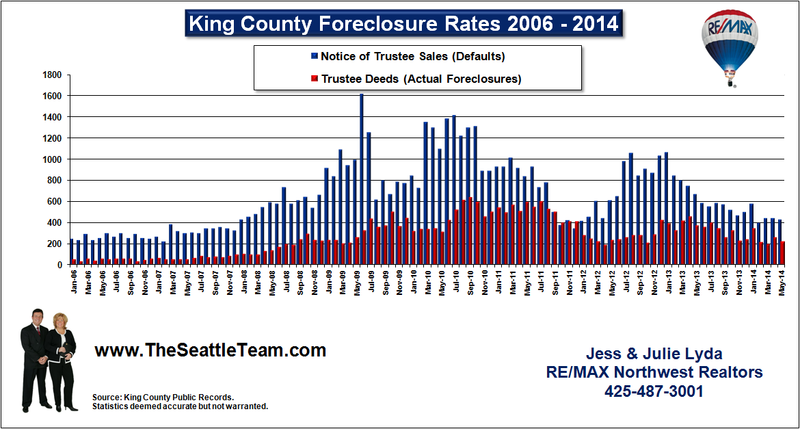 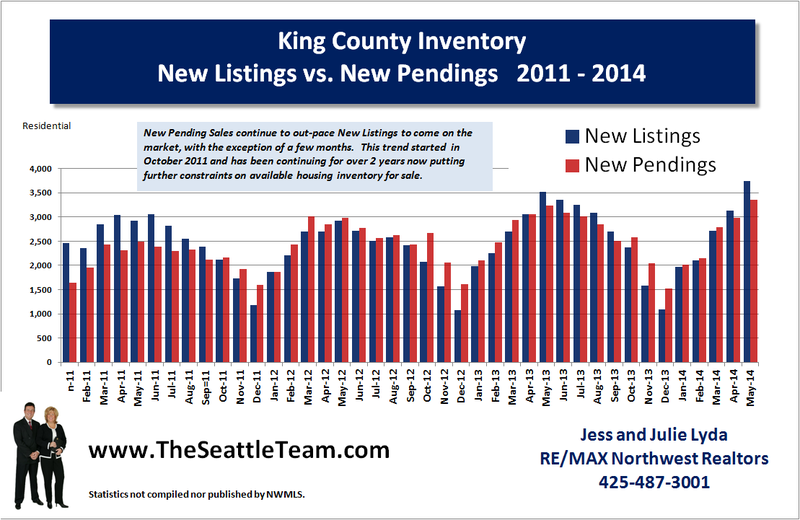 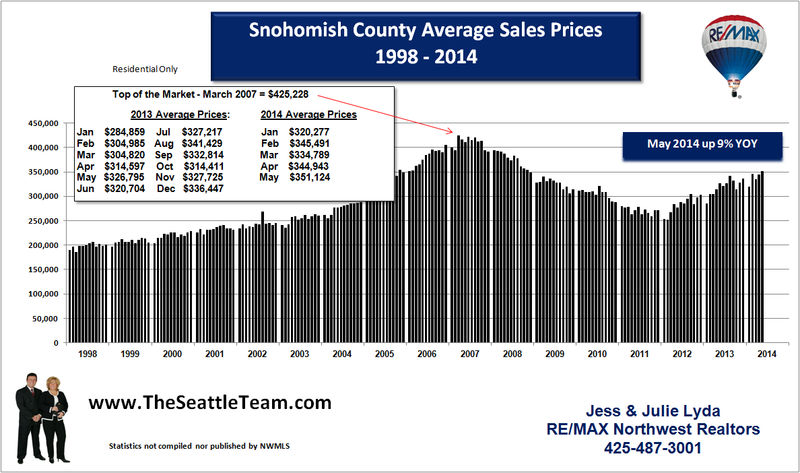 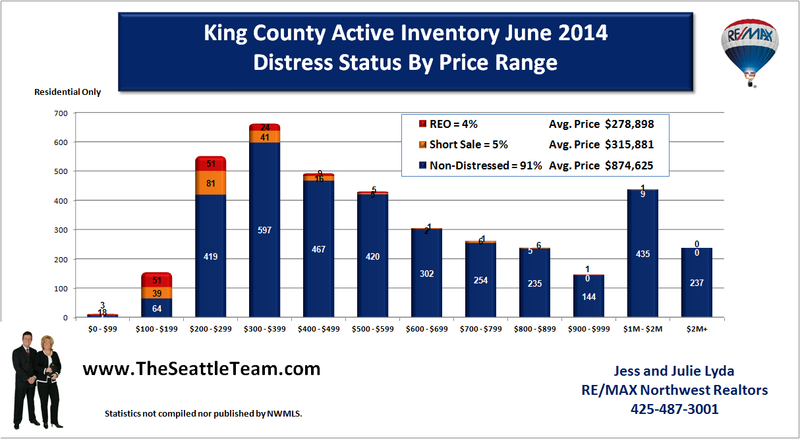 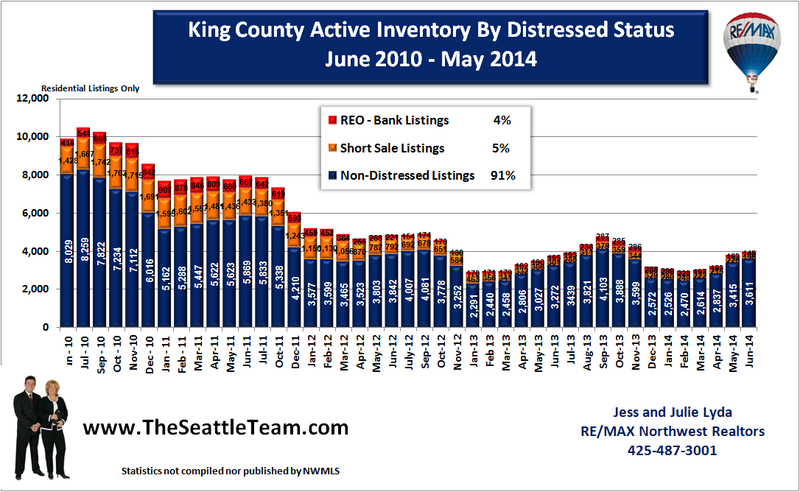 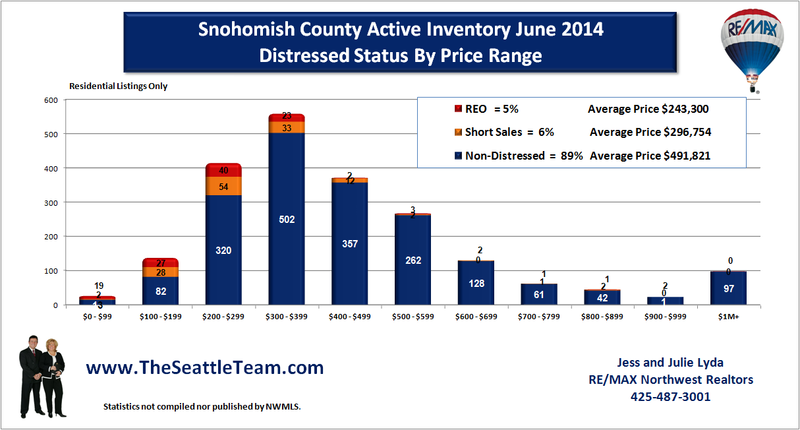 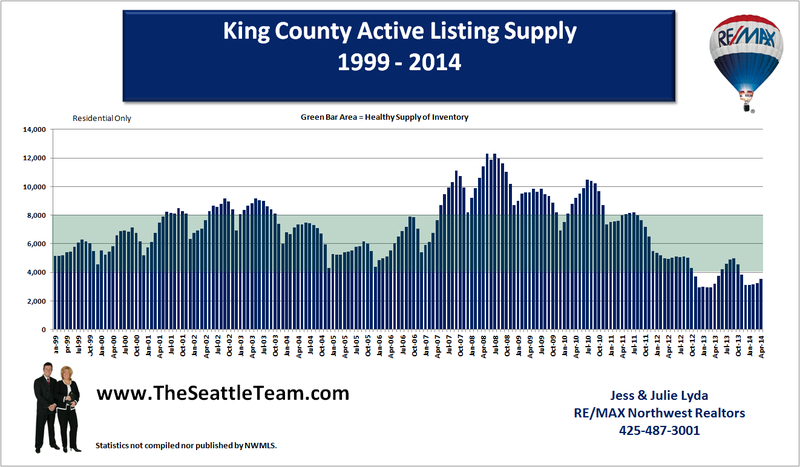 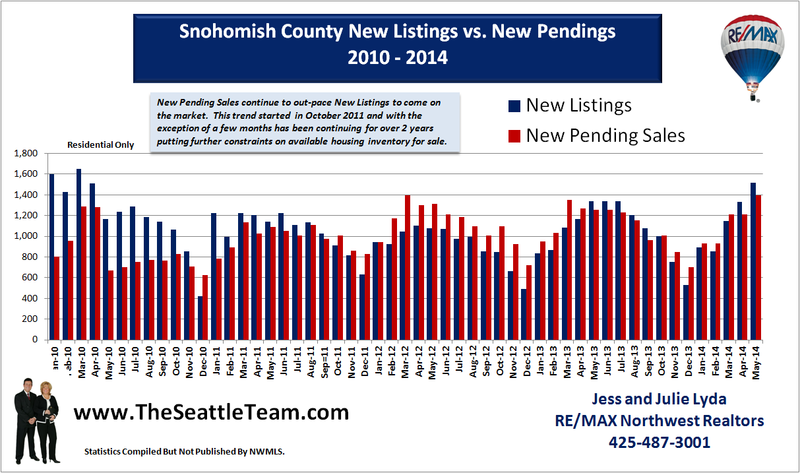 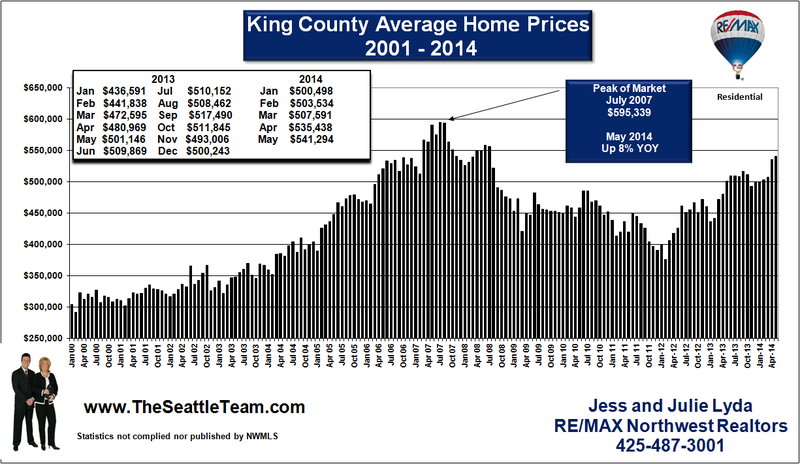 In King County last year 33% of all the property sales were distress sales. 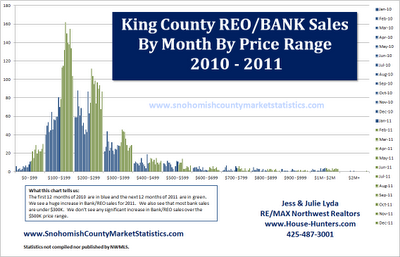 Of that total 22% were REO Bank Sales (foreclosed properties). In this chart (blue=2010, green-2011) we can see that sales of bank owned properties were very strong for 2011. 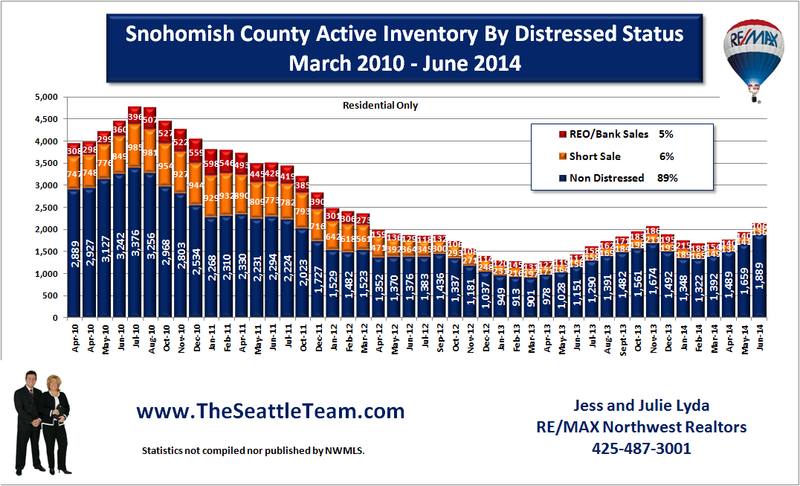 But the chart tells us even a bigger picture - a majority of the bank owned properties that sold were in the $100K - $200K range. 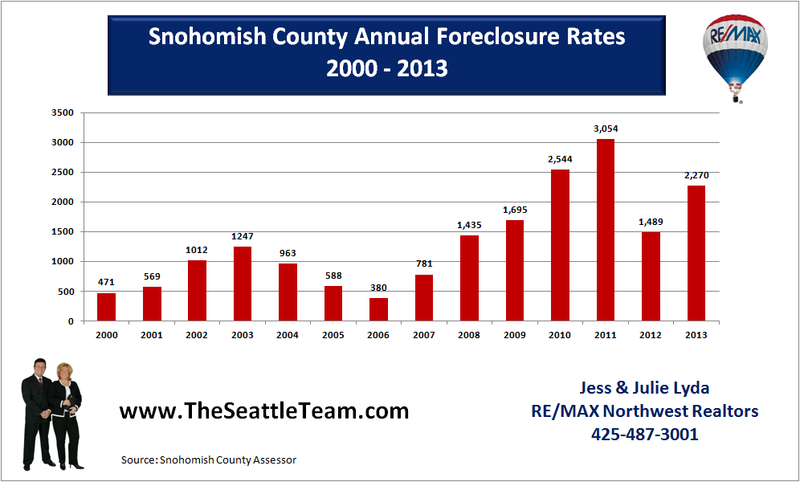 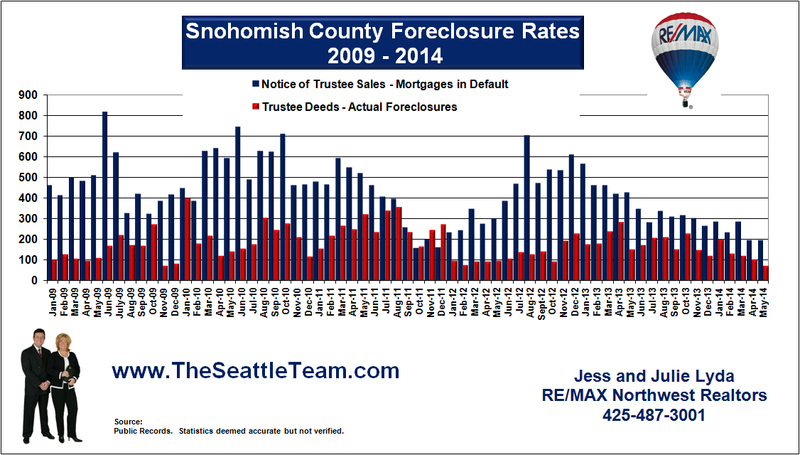 Another thing this chart tells us, is there are very few foreclosures above $399,000. 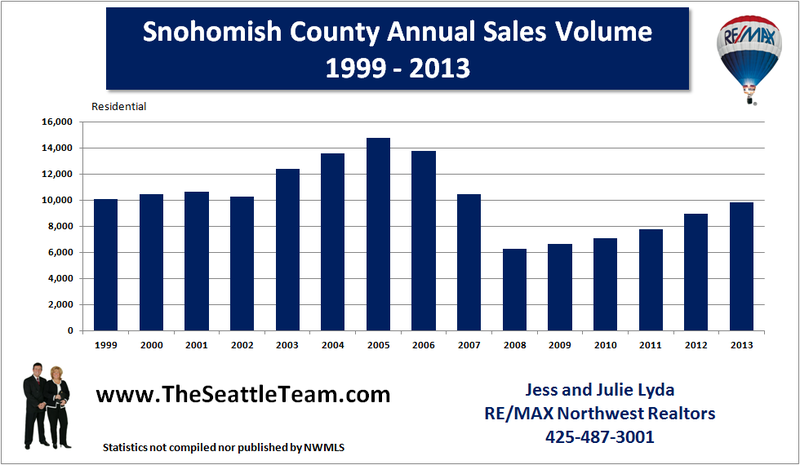 Above that the the monthly sales numbers are mostly in the single digits. 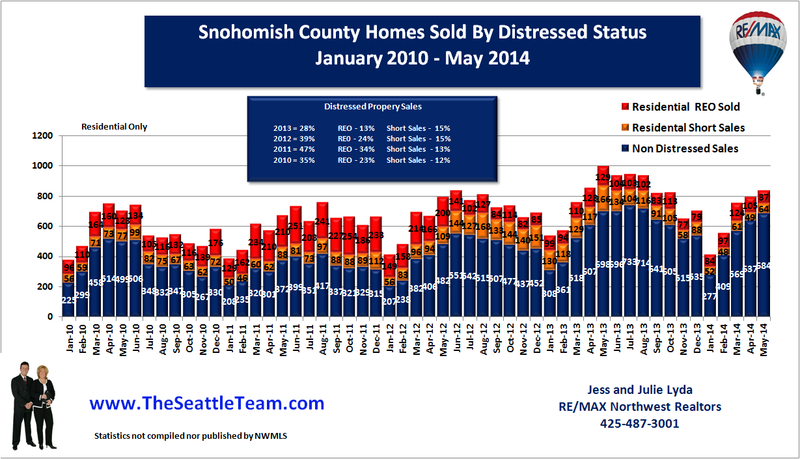 This indicates that the lower priced housing market has been the most affected by the down turn in our economy.